The Office is a lot of things: ensemble comedy, mockumentary sitcom, workplace satire, beet farm propaganda. It’s also a show about sales. Many of its characters sell paper for Dunder Mifflin. Steve Carell’s Michael Scott, the socially inept office manager, is a seasoned salesperson turned branch manager. And throughout the show’s nine seasons on NBC, many plot points hinge on a big sale. In rewatching the series, keep an eye out for the following sales lessons. Andy has the worst sales record in the office, so to gain some needed practice, he holds a seminar on starting a small business. By the seminar’s end, he hopes to sell small business packages, but the seminar itself goes predictably wrong at every turn. After a few walkouts, a speech about the Loch Ness Monster and some light vomiting, Andy starts making progress. But he just can’t bring himself to seal the deal. Michael — who’s pretending to be a Greek named Mykonos — takes Andy aside and bluntly tells him that it’s time to close. Andy: Yeah, I mean, I'm getting to it. Michael: No, you're not. You're getting past it. You have to close. You can do it. Michael: Andy, what's the problem? Andy: This is hard for me. I'm a nice guy. Many salespeople experience this insecurity, especially when starting out. They’re afraid of being perceived as pushy. They equate closing the deal with being aggressive. But asking for the customer’s business isn’t anything to be ashamed of. In fact, if you believe in your product and believe it will help your customer, asking for their business is the nice move. As a salesperson, your job is to help the customer solve a problem, and closing the deal is the next step in that process. The customer is listening to you for a reason. They have a need and are considering you to fill it. So in a way, being too nice to close does a disservice to your customer. You’re there to help them with something, so why go halfway? After listening to Michael’s advice, Andy returns to the seminar, sheds his timid exoskeleton, and asks the attendees point-blank if they would like to buy a small business package. He sells three. After quitting Dunder Mifflin to start his own paper company, Michael spends his first morning on the job in a bathrobe, cooped up in his condo, making an obscene amount of pancakes. As Pam soon discovers, he’s overwhelmed by all the work ahead. So she tells him to make a list of things they need to do. Michael decides that their first task is to assemble a sales dream team, and off they go. Most sales jobs offer limitless potential. You can always find more customers, sell more products and make more profit. But that limitless potential can also be paralyzing. Where do you begin? How do you structure such a massive undertaking? How do you keep track of your progress? You can start by setting key sales activities. As was explained in an earlier Pipedrive post, an activity goal is “an action under your direct control that has the highest possible positive effect to achieving your sales goal.” It’s a productive method of breaking down the sales process into realistic, measurable components. That’s why Michael responded to Pam’s suggestion. Suddenly, a massive undertaking turned into a relatively straightforward task: Assembling a dream team. Too bad the best person they could find was Ryan. He was hottest in the office, but still . . .
Sabre, the printer company that bought out Dunder Mifflin, has a “sales is king” policy. Corporate is giving Dwight, Jim, Phyllis, Stanley and Andy bigger commissions, fancy ear pieces and swanky duffel bags, and the newfound respect is going to their heads. They walk out of meetings, strut around the office like they own the place, and treat the other employees like peasants. Needless to say, this angers people, and soon the office descends into chaos. Unlike many other professions, a salesperson’s performance can be measured directly, and those who know how much better they’re doing than their peers may come down with a severe case of swollen ego. You receive a big commission check and realize how much money you’ve been making for your company. Well, when’s the last time human resources made a sale? You see how much better you’re doing then the rest of the sales team. Well, obviously you’re more valuable to the company than they are. Confidence is one thing, but arrogance will only sow resentment, and sooner or later your bad attitude is going to backfire. So if you find yourself walking with an extra skip in your step, remember that as good as you are at your job, you didn’t get there alone. Don’t forget who hired you, who trained you and who brought you coffee from the break room when you were swamped with paperwork. Does your company have a sales development team? Maybe they helped find those big leads for you. Does your company have a product development team? Perhaps they helped you better understand what you were selling, and thus, helped you communicate its value to customers. And even if you did it all on your own, part of being a good salesperson means supporting your sales team, as well as the rest of the office. It means using your experience to help others rather than gloat about a big win. It means remaining humble, even if you’re rocking those numbers. By the end of the episode, the Dunder Mifflin sales team sees the light, but not before Michael’s resentful actions land half of their precious new leads in the Scranton dump. What a twist! This episode finds Dwight in the seemingly impossible job of closing a deal with Jan, the new president of the Scranton Whitepages. Jan has a bone to pick with nearly everyone at Dunder Mifflin, and uses her newfound power to stick it them by rejecting their pitch. But in a flash of insight, Dwight figures out how to win Jan over. See, it was rumored that Jan had an affair with Hunter, her young, baby-faced assistant. Remembering this, Dwight runs back to the office, grabs their young, baby-faced new employee Clark, and drags him back to Jan’s. He presents Clark to her as a some sort of sexual bargaining chip, and explains that if she gives them her business, Clark will be her point man. 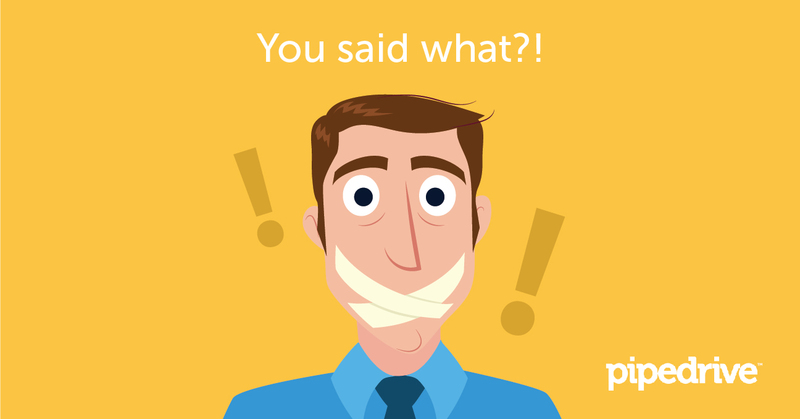 If you can look past the carnal overtones and deviant manipulation, you’ll see that a salesperson uncovered a hidden need and leveraged it to win the the client’s business. In this case, the need wasn’t the product, but an ancillary benefit the product supplier could offer. In the real, non-scripted world of sales, that ancillary benefit could be the product supplier’s core values, their delivery method or their support strategy. Sometimes you have to uncover a hidden need. Just don’t go full Dwight with it. Have some integrity, come on. Despite Michael Scott’s constant buffoonery and epic meltdowns, we’re occasionally reminded why this man still has a job: He’s a good salesman — a great one, actually. Somehow, a man who can’t seem to operate within conventional social parameters succeeds time and time again when interacting with clients. It’s a strange dichotomy, but over the course of seven seasons, it’s slowly explained, and the answer is surprisingly simple. 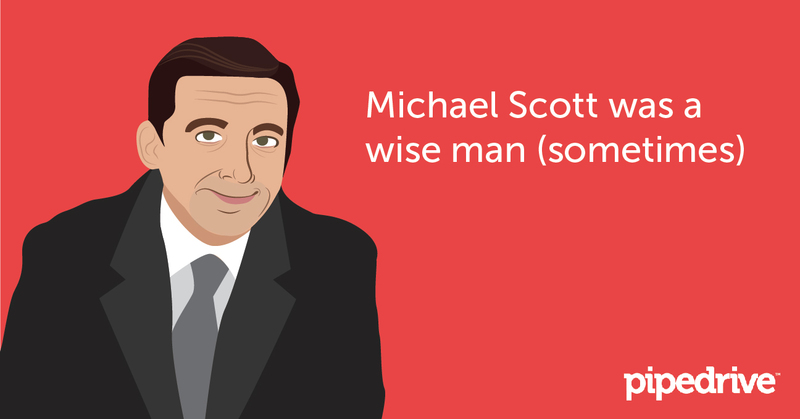 More than anything, Michael Scott values relationships. He desperately wants a wife and children. He views his employees as one big family, and is always searching for new friendships. And while his relentless pursuit of relationships doesn’t vibe in an office setting, it’s surprisingly effective during client meetings. And no episode showcases this better than The Client. Michael and Jan meet with Christian, a potential client whose business could save Dunder Mifflin from downsizing. Jan wants to get right down to business, but Michael keeps steering the conversation away from business. While Jan grows frustrated, Michael begins forming a personal connection with Christian. He tells jokes, orders drinks and sings a duet (the Chili’s theme song). A few scenes later, the three of them are playing truth or dare. They’re not talking business, they’re talking about personal experiences. Divorce. Family. Dreams. You wouldn’t know it was a business meeting. After hours developing a rapport, Michael broaches the subject of paper suppliers. Lo and behold, he makes the sale. As Michael says in a later episode, sales is about people. He doesn’t approach the client like a code that needs cracking. He sees the client as a person, just like himself, and treats him as such. He gets to know the client, and allows the client to get to know him, and eventually, the conversation turns — organically — to business.